Three lines of players as shown. 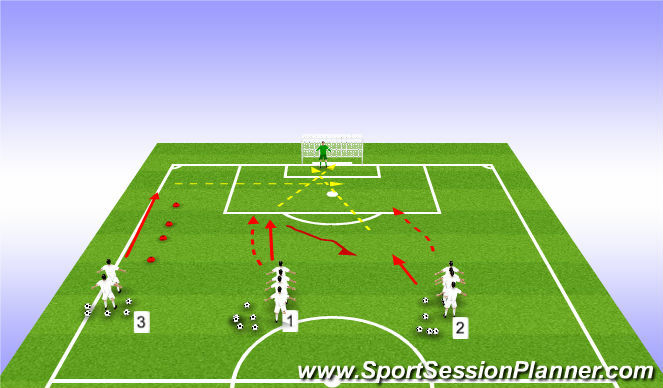 Player 1 starts and moves ball out of feet and shoots. 2 then plays 1 2 with 1 and receives ball back to shoot. 3 then runs ball down outside of cone line and crosses for 1 and 2 who have made run into box. All players return to their respective lines. Rotate players lines and then chnge line 3 to go down right hand side to cross.